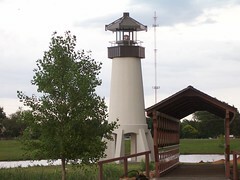 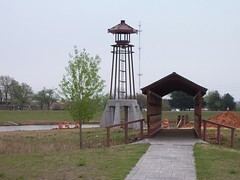 The Elk City Centennial Lighthouse stands 42 feet tall. 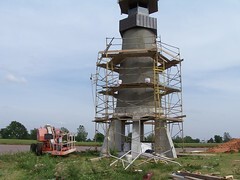 The structure is made of stucco over steel, and was designed by local architect Tommy Shaw. 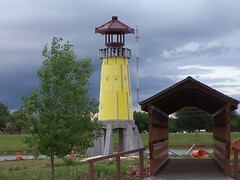 A beacon lights up a dusk. 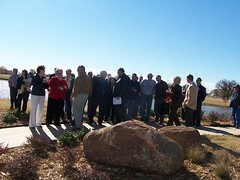 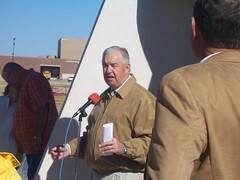 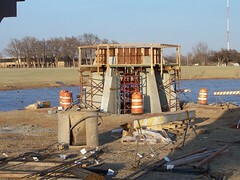 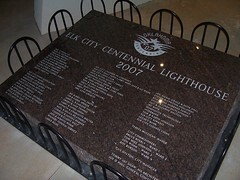 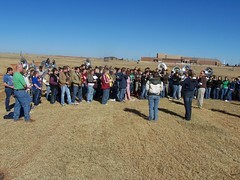 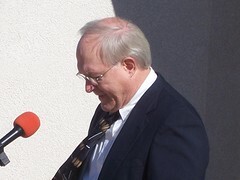 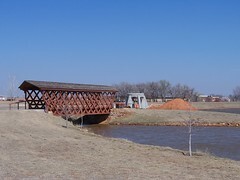 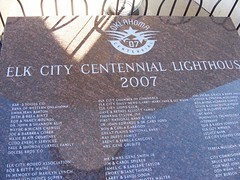 Fundraising for the lighthouse began in 2005 as a joint project of the City of Elk City and Elk City Chamber of Commerce. 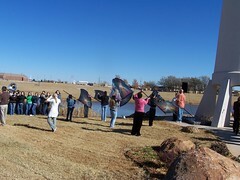 More than $90,000 was raised for the project. 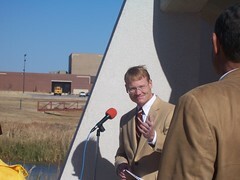 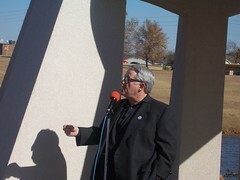 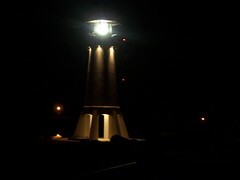 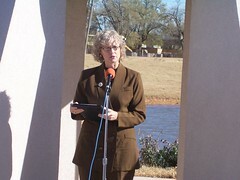 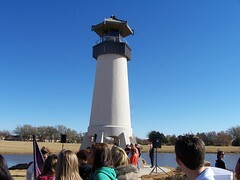 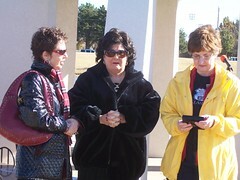 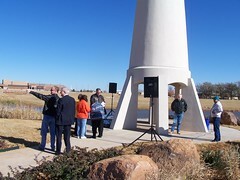 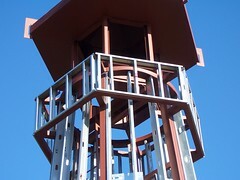 The lighthouse was dedicated on November 15, 2007, in honor of Oklahoma's Centennial. 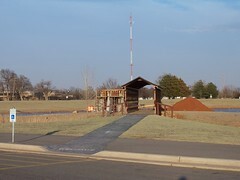 West side of Ackley park behind the Old Town Museum complex at 3rd and Pioneer, Elk City, OK.